If you run a business with two or more vehicles, making sure that they’re all insured is an essential task and a fleet insurance policy is ideal. You can’t risk a vehicle being out on the road without any cover! To insure each vehicle on individual policies can be an administrative nightmare, but that’s where motor fleet insurance comes in to help out. With multi-vehicle cover, you can breathe easy as your whole enterprise of motors is fully covered. Simply click the link below to find a quick quote for fleet insurance to protect all of your vehicles! If you’re new to insuring fleets of vehicles, you might be asking yourself: what is fleet insurance? And how does it differ from other types of car insurance policies? Well, we can help breakdown the important elements that make up a motor fleet policy, and why it can be a crucial type of cover for your business. Insurance coverage for a fleet of vehicles is basically mass insurance. With fleet insurance, all of your vehicles used for your business are insured under one single policy. For a big company, with a large selection of vehicles on the road, fleet insurance is the easiest way to make sure all of them are consistently protected. Because instead of individual policies for every vehicle (with different renewal dates), fleet cover makes sure all of them are grouped together under one policy. And with only one renewal date! It’s even useful for those smaller companies, who might have as little as two vehicles in their fleet. The convenience of fleet insurance makes their lives (and their paperwork!) just that little bit easier. How Many Vehicles Are Covered Under A Motor Fleet Policy? This will ultimately depend on each individual insurance provider. On a panel of insurers, the wide selection of coverage can see anything from 2 to 500+ vehicle limits. But each provider will have their own minimum and maximum limits, depending on what kind of businesses they want to insure. Make sure you check your fleet size limits before taking out a policy! Who Is Insured To Drive With Motor Fleet Insurance? For any company with a fleet of vehicles, you’ll likely have a fleet of drivers to drive them. And for your fleet cover, you’ll want to make sure all of them are covered for all the vehicles out on the road. Fleet insurance providers can offer you ‘any driver’ and ‘any vehicle’ policies; this means anyone in your business (who has a valid licence and your permission to drive) will be covered if they drive any vehicle that’s insured on your policy. Simple! Some providers may include, or exclude, certain age brackets of drivers too. For example: drivers aged under 25 are sometimes omitted from certain fleet policies. But other providers will be happy to take on the extra risk of those with less experience – it’s always worth shopping around to find which provider suits your particular team of drivers. Third Party Only (TPO) – The basic level of insurance cover that’s required by law. It only covers you for third party damage to property and liability for injury to others (which includes vehicle passengers). Third Party, Fire & Theft (TPFT) – A step up from TPO cover. TPFT covers all of the basics covered by TPO, but it also insures for fire and theft damage too. Comprehensive – Your fleet insurance will be insured for everything above, and more, with comprehensive cover. Your vehicles are covered for all collisions, even those that your drivers are liable for. On top of that, you can also be covered for damage to windscreens, accidental damage, medical costs, and personal effects. Liability Cover – Some providers will offer extra liability coverage for your fleet insurance. Employers liability insurance and public liability insurance are essential for any business owner, especially those that have a large number of vehicles and drivers. It’s worth noting that public liability insurance may also include legal fees. Breakdown Assistance – You can also find providers who can offer breakdown assistance cover with their fleet insurance quote. This is another useful addition when insuring groups of vehicles and enabling them to stay on the road! Cover For Driving In Europe – If you have vehicles that drive throughout Europe, you can’t afford to be without this level of cover. Experienced Drivers – Although you can find providers who will insure drivers aged under 25, it will likely mean you’re paying more premium to do so. Older drivers, who have a clean licence, could reduce the cost of your fleet insurance premiums. Be Strong On Security – This is your business, so you should want to protect it as much as possible. But if that isn’t incentive enough, you’ll also save money on your premiums as insurance providers could offer discounts for highly secure premises and vehicles. Install Dash Cams – You’ll find some providers that will offer cheaper premiums if you have dashboard cameras in your vehicles. Increased Excess – Your insurance premium might be discounted if you choose to pay a voluntary excess. Try it when taking out a quote and see what it can save you. Shop Around At Renewal – Auto-renewing a policy is easy, but there is always the potential that you’re missing out on cheaper prices in the market. Have a look at quotes elsewhere before your policy runs out each year. Invest in green vehicles – Many people still aren’t sold on the idea of electric vehicles but if you don’t want to go full electric then you also have the option to get hybrid vehicles. Doing this can help you save money with some insurers. Family Fleet Insurance – These policies will cover your own personal business – namely, your family! This is an essential policy for those with younger drivers at home, who might be struggling to find cheap individual insurance policies for themselves. Multi Vehicle Insurance – Anyone with their own personal car collection, will want to make sure they’re protected for all their vehicles. Insuring all your vehicles together can be cheaper, and more convenient, than taking out separate policies. Haulage Fleet Insurance & Lorry Fleet Insurance – Specific fleet cover if you only want to cover larger vehicles on a policy. Taxi Fleet Insurance – Essential for taxi fleet operators who want blanket insurance for all their vehicles. 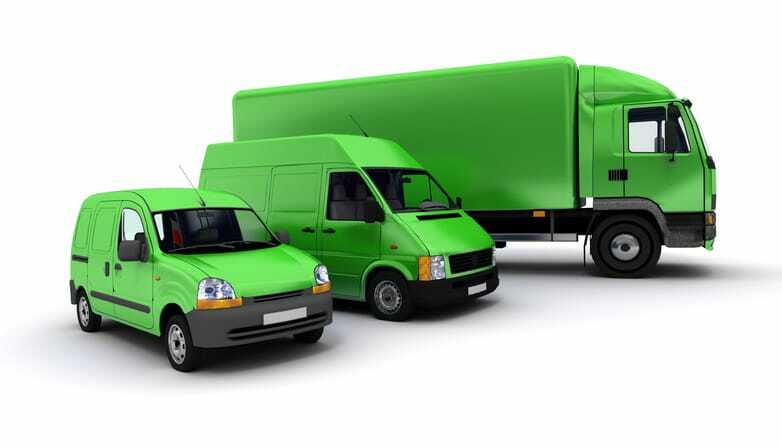 Fleet insurance is mass cover for all vehicles in your business. It’s more convenient than taking out individual insurance policies. If you have more than two vehicles in your business, you could get a quote for fleet insurance. Fleet insurance polices can offer ‘any driver’ and ‘any vehicle’ policies (although there might be some exclusions). You can find a wide array of different levels of cover for fleet insurance. Experience and safety is always a good way to reduce your premiums, as well as being savvy by shopping around for prices. There are many different types of fleet insurance. If you want a tailored motor fleet insurance quote from a panel of expert providers, simply click the button below.